Researchers invented a 3D-printed an electronic membrane that fits over a heart. The device has sensors and electrodes that monitor the heart’s activity and may keep it beating over an indefinite period – even if it’s outside the body. 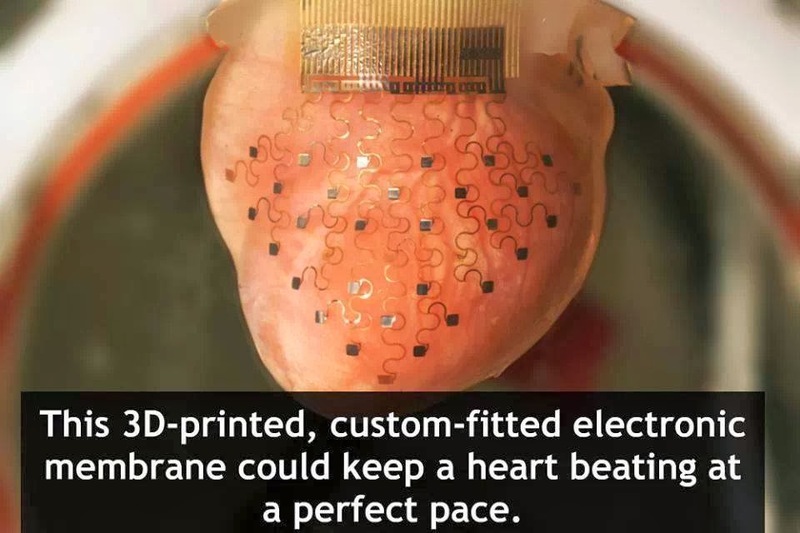 The membrane may substitute pacemakers in the future and if it senses a heart attack or arrhythmia it could deliver electrical stimuli to prevent cardiac death.